XRP (XRP), previously known as Ripple, is a network/cryptocurrency that boasts a fast and highly scalable digital network and enables payments anywhere in the world in real-time. XRP was built for enterprise use and gives banks and payment clearing providers on-demand and reliable options to source liquidity for global payments. XRP payments are swift and settle in just 4 seconds. XRP consistently handles 1,500 transactions per second and can be scaled up to process the same payment volumes as Visa. The open-source technology is built on the principles of blockchain and has a five-year track record of stable technology and governance making it ready for institutional and enterprise use. XRP was the first to introduce a consensus algorithm known as Federated Byzantine Agreement (FBA), which was picked up by competing cryptocurrency Stellar (XLM). Transactions are grouped into sets, and sets are voted on by pre-selected validators. Every set must go through four round of voting until they reach 80% consensus. This process confirms transactions are legitimate and 'safe' with 98.8889% probability. Validators choose their peers and store them on a 'Unique Node List.' As a result, institutions can enter performance contracts with their validators, which is a significant implication in the mass adoption of distributed ledger technology (DLT). XRP is focused on providing on-demand liquidity to banks and other payment providers for cross-border payments. It makes sense then that XRP want to focus on building relationships with banks and other payment providers to encourage adoption. XRP's overall goal is to be the primary cryptocurrency used for transacting value internationally. 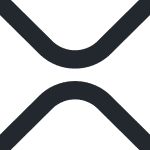 For more information regarding XRP visit the official website.